Is Milk Bad For You? This can be a dangerous question as some people may become downright insulted that you even dared to ask. For others it can be considered outright war as opinions are torn in two very different directions. So what should we believe? I apologize first if this article seems a bit lengthy, but this is a topic I am truly passionate about and for those of you who struggle with this question you will find this article interesting. First of all doesn’t this picture make milk look so inviting offering a creamy texture and a totally satisfying look of approval? Of course it does, because this is good advertising and whether milk is bad or good it is a multibillion dollar business. Is Milk Bad for You? Before answering this I know one thing for sure is that a whole lot of people on this planet are drinking it, but why? Well one very big reason is that is has been driven into our heads for generations, through the school systems, government food group pyramids and fantastic government advertisement that milk is very healthy for us and we should be drinking it every day. After all the government wouldn’t promote something that was bad for us, right? But here is another big reason people drink it. It is economically friendly, especially for larger families. They keep it reasonably priced so that everyone can afford to buy it. That is why high volume sales are so important to keep profits up for this multimillion dollar industry. I am not writing this article to dispute anyone’s thoughts, if you think milk is good for you I will not disagree. This article is important to me to share some experiences with you. Only two short experiences out of the many, I promise. But what I found interesting is that one day his doctor asked him if he drinks milk and the answer was yes, in fact he use to enjoy about 3 – 4 glasses of it every day, he loved it. I found it interesting that the doctor specifically asked him if he drank milk, as if he already knew it could create these negative health issues. So far it seems like kidney stones, some allergies and sinus issues and cholesterol may all have some negative impact from that friendly drink of milk. For instance statistics have shown that the rate of osteoporosis is higher in countries that consume more milk. 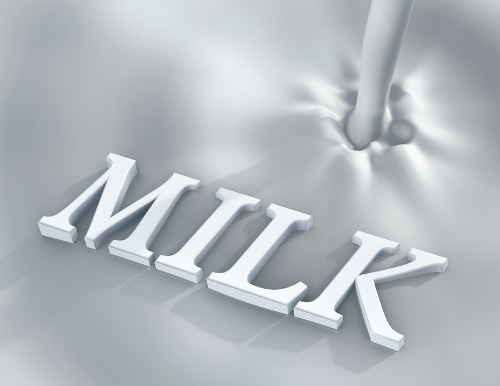 The more milk a country ingests the higher the rate. Yet again these studies can be disputed by factors such as genetics and how close that country is to the equator and so on. There are many more books written by others who do believe that drinking milk is bad for you. So the question still remains, is milk bad for you? You be the judge. The best way to test this theory would be to give up milk for about 4 weeks (or more if you can manage) just to see what happens. Perhaps you will feel no difference, or perhaps you will feel like a new born person. Anyways, I hope you give it a try. Do you enjoy reading? Here are my top picks, I hope you will enjoy them too. (The book called "Eating Alive" is my absolute favorite book on good digestion).